People who love to produce and help create a variety of delicious treats for customers may be interested in filling out an Otis Spunkmeyer application. Known for their delicious cookies and muffins, this company has been around since 1977. Links to apply for jobs at Otis Spunkmeyer are at the bottom of the page. Ken Rawlings founded Otis Spunkmeyer in Oakland, California in 1977. Rawlings built the company into a fast growing chain by 1983, but the high costs of the stores made them shift their focus from their commercial ventures to wholesale. Originally, they simply sold frozen cookie dough, but quickly grew to selling cookies, brownies, and a huge variety of other baked goods. In 2006, the company was sold to Aryzta. As a part of Aryzta, Otis Spunkmeyer places a high value on their customers and helping to find a solution to world hunger. In order to raise funds, Otis Spunkmeyer has begun selling an Orange Cookie that offers support to No Kid Hungry, which is a national campaign by Share Our Strength. Otis Spunkmeyer is mostly known for their cookies and muffins. However, they also sell a variety of other baked goods, mostly wholesale, at a variety of stores and universities across the United States. In an effort to help various organizations, Otis Spunkmeyer works closely with people who are interested in fundraising. Some Otis Spunkmeyer careers take place at the corporate level and are located in San Leandro, California. However, a majority of these positions are geared towards making sure that the corporation as a whole is working smoothly and that deliveries are being made on time. Locally, Otis Spunkmeyer jobs will have you working in a factory run by Aryzta, the owner of this company. There are several distribution centers and factories located around the country, but know you’ll also be working with La Brea Bakery, Cloverhill, Oakrun Farm Bakery, and Gourmet Baker products because Aryzta also owns and runs that company. How old do you have to be to work at Otis Spunkmeyer? Age requirements vary by position. As you browse Otis Spunkmeyer jobs online, make sure to read all position needs carefully, because some jobs may need various degrees, certifications, or experiences. People with Otis Spunkmeyer jobs at the corporate level will generally stick to the usual eight to five hours. However, people who work in the factories may hold a variety of hours over a twenty-four hour period. Holidays may affect factory hours, but they may remain open and offer pay increases for those who are open to work on those days. Driver – When required, you’ll do deliveries to stores and shops, making sure to help unload and check to make sure that everything being delivered is correct. As needed, you will fill out the appropriate paperwork at each location and in your log. Compensation is around $45,000 a year. Time & Attendance Manager – As one of the leaders in the payroll department, you’ll work to promote outstanding practices and discipline when it comes to time keeping. As needed, you will strive to find and improve the method of time keeping for the company. Compensation is around $40,000 a year. IT Wireless Engineer – You will work to maintain the company’s entire wireless infrastructure and make sure that it is stable and working properly. When required, you’ll work to improve the network through technology and programming. Compensation is around $80,000 a year. Baker – A big part of this position will have you supervising and checking on the production schedule to make sure that everything is working smoothly and that people are checking and doing their jobs to the best of their ability. Compensation is around $30,000 a year. Why do you want to work for Otis Spunkmeyer? This is an extremely common interview question, so you should be prepared for it. Talk about what drew you to the company, whether it was the culture or benefits and why it’s your first choice in places to work. Some positions may require driving around the country or various cities, so you may be asked this question: Do you have a valid license and a good driving record? Be honest and talk about anything you may have on your record and how it got there. Several positions may require you to stand for long periods of time or carry heavy objects, so you may be asked: Is there anything that could keep you from doing your job? Talk to your interviewer about anything that could physically stop you from doing your job, if you’re upfront and honest about it, the company will probably work with you. How to apply for Otis Spunkmeyer online: if you’re applying for a corporate position, narrow your search down to San Leandro, California and pick from those jobs. For a factory job, it is probable that you will be working for Aryzta and creating a variety of products for a variety of companies. Make sure to read all position requirements carefully before filling out your Otis Spunkmeyer application. 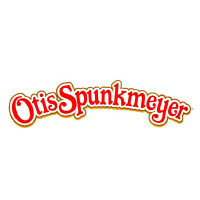 There is no printable application for Otis Spunkmeyer available on their website. Before attending your interview, do research on Otis Spunkmeyer and the industry in order to come up with a list of questions that you can ask. For an entry level position, this may seem excessive, but it will place you in front of the other candidates as it shows that you think ahead and are prepared. Your interview will probably take place in a semi-formal setting, so you should probably dress in business casual. If you’ve applied for a managerial or supervisory position, a suit would be appropriate. Have a positive and friendly attitude when you attend your interview because it will give a good impression. Show gratitude at the opportunity to interview with this company and inquire about the best way to check on your hiring status after you interview. Some candidates, but not all, will learn if they got the position during their interview as Otis Spunkmeyer will want to screen all applicants before making a final decision. Orange Julius: Visit the job application for Orange Julius to apply today. Pretzelmaker: Use the Pretzelmaker job application to apply here. Cookies By Design: Checkout the application page for work at Cookies By Design. Brueggers Bagels: Visit the job application for Brueggers Bagels to apply today. Swensen’s: Checkout the application page for work at Swensen’s.